Convened by Jane Shaw, Paul Pickering. This will be a multi-disciplinary conference, covering any aspect of collective or group life writing. Paper proposals on any aspect of this theme, such as networks; families; artistic, political or academic groups; communities; institutional history and prosopography, are welcomed. Papers may be on specific topics or people, or may be reflections on aspects of methodology. The conference will culminate in the Seymour Lecture on Biography given by Richard Holmes, and a conference dinner. Please send a title and 500 - word abstract to both paul.pickering@anu.edu.au and jane.shaw@new.ox.ac.uk by 25th April 2008. The Prime Minister’s Summit to be held in Canberra on 19-20 April creates an opportunity to re-examine how Australia’s cultural diversity will influence nation building, as we approach 2020 and beyond. While cultural diversity is not listed amongst the ten critical topic areas of the Summit , it is directly or indirectly implicated in issues such as social inclusion, community strengthening, supporting families, security, education, population, economic development and the arts. No creative thinking on the nation’s future can afford to ignore issues of cultural diversity, as we work to sustain and develop a diverse, alive, tolerant, generous and inclusive Australia . The Australian Multicultural Foundation, chaired by Sir James Gobbo and Cultural Infusion, chaired by Peter Mousaferiadis are hosting this pre-Summit forum as a contribution to the national conversation on Australia ’s future. Given that diversity will continue to be a key characteristic of Australia ’s population and of its cultural and religious practices – what kind of Australian society would we like to live in 2020 and what steps should we take in preparation for that vision? How can we re-fashion and reposition multiculturalism in an era of suspicion? Is it essential to use particular terminology or can the goals of an effective and inclusive, culturally diverse society be achieved through a focusing on issues such as social inclusion, wellbeing and community strengthening? How can we foster and promote the benefits of cultural diversity in the Australian community? What role should cultural development and the arts play towards that purpose? What resourcing frameworks and mechanisms are required to maximize the effectiveness of policies and programs which aim to manage our diversity? We do hope you can join us to renew the national dialogue on these important issues. Key outcomes and recommendations may be forwarded as a contribution to the 2020 Summit . RSVP to 94126666 or to graham.d@culturalinfusion.com by 12 March. There are numerous domains in which the theory of recognition (especially the work of Axel Honneth) might be applied to better understand the experience of minority communities in Australia. These might include, for example, the experience of Muslim populations in Australian cities, or the contemporary working and life conditions among migrant workers. The Centre for Research on Social Inclusion seeks expressions of interests from students wishing to explore the applicability of recognition theory in relation to migrant communities in Australia through a case study to be developed in discussion with the supervisory team and the student. The student will be supervised by an interdisciplinary team of academics within the Centre for Research on Social Inclusion, led by Dr Jean-Philippe Deranty (Philosophy). Suitable co-supervision for the empirical aspects of the project will be identified once the case study has been settled upon. Applicants should have completed an Australian four-year undergraduate degree in a relevant discipline (such as sociology, philosophy or anthropology) with first-class honours, or demonstrate equivalent research qualifications, such as a Master degree with a substantial research component. The scholarships pay a living allowance currently $20,007 per annum, tax exempt (2008) and the tenure is 3.5 years full time, subject to satisfactory progress. Tuition fees will be funded for the scholarship tenure. This show explores the Vietnamese beef rice noodle soup dish pho, an integral part of Vietnamese cultural heritage. It is a major touring exhibition that is coming to Melbourne first, then going to Perth. Footscray Community Arts Centre (FCAC) is also running workshops associated with the exhibition, including a pho tasting session - check FCAC's website for more details! We seek expressions of interest for a special journal issue focusing on the Spaces Between Languages. We seek articles that explore how the space between languages is experienced through translation and interpretation, language learning and teaching, contact situations, code-switching, bilingualism, and in literary and cultural production. We are also interested in addressing these issues from the Spaces Between Disciplines, which might include the spaces between linguistics, language and translation studies, language pedagogy, cultural studies and postcolonial studies. Possible approaches might refer to Homi Bhabha’s notion of the ‘third space’, or Mary Louise Pratt’s notion of ‘transculturation’. If you are interested in contributing to this special issue on ‘The Space Between: Languages, Translations and Cultures’, please send an abstract (500 words) and a brief (one page) curriculum vitae to Emi Otsuji by 31 March 2008. Contributors who have been notified of acceptance of abstracts will be asked to submit complete papers by 31 July 2008. Papers should be up to 6,000 words in length (including notes, references, tables or additional material) and should follow the PORTAL style guide and be submitted directly into PORTAL. All submissions will be subjected to double-blind peer review. Portal has built into its editorial protocols a commitment to facilitating dialogue between international studies practitioners working anywhere in the world, and not simply or exclusively in the ‘North,’ ‘the West’ or the ‘First World.’ The journal’s commitment to fashioning a genuinely ‘international' studies rubric is also reflected in our willingness to publish critical and creative work in English as well as in a number of other languages: Bahasa Indonesia, Chinese, Croatian, French, German, Italian, Japanese, Serbian, and Spanish. Portal provides open access to all of it content on the principle that making research freely available to the public supports a greater global exchange of knowledge. If you are interested in submitting a paper please read the Author’s guidelines and information about the submission process at Portal’s homepage. Details: Celebrate Harmony Day and the importance of multiculturalism in Queensland’s history. Join us for morning tea and a seminar focussing on records relating to Chinese immigration and the contribution of the Chinese community to Queensland history. CFP - Flogging a Dead Horse: Are National Literatures Finished? The Stout Research Centre for New Zealand Studies and SEFTMS are organising a conference to be held on 11 and 12 December, 2008, at Victoria University of Wellington. Cultural nationalism has been at the centre of literary history in New Zealand, as in other literatures. In New Zealand the intense period of literary activity of the 1930s and 40s produced a body of work that sharply influenced thinking about national identity. The 1890s shaped thinking about the defining characteristics of an assertively nationalistic Australian literature, while Canada after World War II sought a cultural identity separate from the overpowering proximity of US nationalism. These nationalist moments still influence critical discussion and cultural formations but are now being challenged by alternative nationalisms, the outward gaze of contemporary writers, the growth of fantasy and other genres, and, above all, globalism. Questions about the relevance of nationalism in literature are relevant everywhere. The keynote speaker will be Professor Leela Gandhi, Department of English, University of Chicago, who will address the conference title. Professor Gandhi is the author of Affective Communities: Anticolonial Thought, Fin de Siecle Radicalism, and the Politics of Friendship (Duke University Press, 2006) and Postcolonial Theory: A Critical Introduction (Columbia University Press, 1998). Other speakers will be announced. Speakers are not restricted to New Zealand topics. Comparative papers are welcome. * Revisit the process of forming our nation. * Consider the formation of ourselves as Australians. * Highlight issues that currently affect these groups. * Promote understanding and healing. The event will be moderated by leading community activists and experts, including Patrick Dodson, Olga Havnen, Paul Lane, Marcia Langton, Lowitja O'Donoghue and Phil Glendenning. We are seeking applications from people aged 18-30 who would like to participate in this event. If you would like to be part of this exciting project, go to www.brooklyn.org.au  for further information and an application form. If you have any further questions send them to Liz Jacka at lizj@erc.org.au. The Listening Project is a program of collaboration that will generate sustained discussion and publication around the politics, technologies and practices of the cultural literacy of ‘listening’. The project develops a new area of study through an innovative model of networking, bringing together researchers across a range of disciplines as well as media and cultural producers. The program will examine the neglected dynamics of ‘listening’, an emerging focus in Media Studies and citizens’ media interventions. Habitual critiques of representation and the politics of ‘speaking’ (or giving voice to the voiceless) are giving way to investigation of more active possibilities for social inclusion and change based on recognition, dialogic engagement and acceptance. Five afternoon tea workshops will be held in 2008, leading to a multi-authored publication around the theme of ‘listening’ in 2009. For each workshop, the convenors and 2 – 3 invited participants will be asked to prepare a brief and informal discussion starter, which might take the form of a commentary on existing literature or research, or a discussion of a particular project, research methodology etc. The discussion will be structured to lead to the identification of potential collaborative projects and papers for publication. If you wish to participate in The Listening Project, email Cate Thill (Catherine.Thill@uts.edu.au). If you would like to attend a workshop, please send a statement indicating in 200 words or less why you are interested in a specific workshop topic and whether or not you are doing related research, as well as a short CV (4 page max). Alternatively, if you are interested in contributing to a proposed publication on the theme of listening, please send a short abstract and outline of a paper on one of the workshop topics. The deadline for expressions of interest in workshops and the publication is 29 February 2008. Early career, regional and rural researchers are strongly encouraged to apply. There is a small amount of funding available for interstate travel to the workshops that will be allocated on a competitive basis. Please indicate in your application if you are interested in applying for funding. This workshop will focus on the ethics and politics of listening in order to develop innovative approaches to thinking about media and multiculturalism. To date both research and policy on media and cultural diversity have emphasised questions of speaking, whether in mainstream, community or diaspora media. There is also a vast literature examining questions of representation including stereotyping, racialisation, hybridisation and self-representations. This workshop extends these discussions to focus on questions of listening. Sociologist Charles Husband has long argued that the 'right to be understood' and an ethics of listening are as important as the 'right to communicate' in developing a multi-ethnic public sphere. Susan Bickford suggests that 'just as speakers must reflect on how to speak (and what to say), listeners must be self-conscious about how they listen (and what they hear). Taking responsibility for listening, as an active and creative process, might serve to undermine certain hierarchies of language and voice'. Attention to listening provokes important questions about media and multiculturalism: How do media enable or constrain listening across difference? What is the role of mediation in the politics of listening? How can a diversity of voices be heard in the media? How are new modes of listening developed or learned (by media producers and by media audiences)? How can media researchers, producers and policymakers best address these questions? By bringing together researchers, media workers and policy makers we aim to start a conversation on new ways of understanding the dynamics and importance of listening in multicultural societies. >> See "Current Exhibitions" at the City Art Rooms, Auckland, New Zealand. NEW BOOK - Ouyang Yu's "On the Smell of an Oily Rag"
Ouyang Yu gives his unique insight into Chinese and Western language and cultures, and makes us reflect on our own habits of thought from new angles. 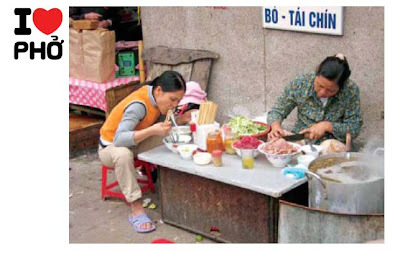 Culturally diverse, On the Smell of an Oily Rag: Speaking English, Thinking Chinese and Living Australian draws examples from low and high culture and from the everyday and the literary life. Ouyang Yu shows that they are closer together than we usually think. Based on the unique biji xiaoshuo (pen-notes fiction) genre and written in an accessible, readable and deliberately un-academic style, On the Smell of an Oily Rag is a seminal non-fiction book that creates its own genre of what Ouyang Yu calls, biji feixiaoshuo (pen-notes non-fiction), in its exploration of cultural, linguistic and literary similarities, differences and parallels between the English and the Chinese language in a distinctly Australian context. By drawing references from a range of literary and cultural works going as far back as The Book of Songs (1122-256 BC) and covering writers as diverse as Fernando Pessoa and Zhou Zuoren, this book treads where few dare adventure. Scholarly and scatological, this cornucopia of fun and wisdom is a breathtaking picture of speech, thought and images from the world’s richest and oldest culture. 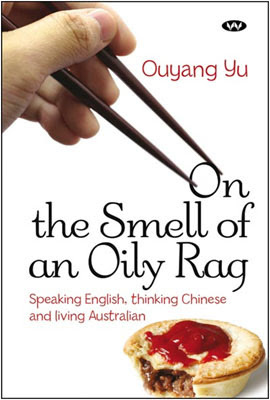 On the Smell of an Oily Rag gives an insight into how English-language and Chinese-language cultures collide, contrast and illuminate each other. It’s about what is lost in translation and what can be gained by it. It stretches the imagination to an unprecedented degree where clichés become cream and boundaries exist only to be unbound. Proposals for papers (20 minutes, abstracts max 200 words) should be submitted by 15 March to the conference website (URL tba). Proposals for panel sessions are welcome. Enquiries concerning the conference should be addressed to Ms Jenn Phillips (jac79@uow.edu.au). ASAL will be collaborating with the Asian Australian Studies Research Network (AASRN) to host a one day stream on texts and literature by and about Asian Australia as part of the conference. life stories and oral histories. "I welcome the conference on Activating Human Rights and Peace that the Centre for Peace and Social Justice of Southern Cross University is hosting between 1-4 July 2008. It is easy to talk about human rights and peace. Forests of trees are destroyed in the documentation dealing with these subjects. However, activating them and translating aspirations into reality is the real challenge for our species and our world. A meeting devoted to translating ideas into action will be well timed in mid-2008. I hope that there will be a strong attendance with many notions to challenge the mind and to inspire action." - Justice Michael Kirby, Patron, Centre for Peace and Social Justice.